As much of a family tradition as a business, dating back as far as 1946 and now into three generations. We have always had a passion for our work and believe our customer service is second to none. We pride ourselves in supplying only the finest examples of watches and accessories to our customers and travel the United Kingdom and Europe extensively in search of high quality pieces. Although primarily a watch and accessory dealer, we also offer highly skilled repair and restoration services for your watches and as such, have several fully qualified Rolex & Omega certified watchmakers working in partnership with us. An area in which we take special pride is locating specific watches & clocks for our clients - perhaps the most rewarding aspect of our business. Please contact us with your wish list. We may be able to locate it for you. If there is anything further you would like to know, the answer may be found in our FAQ's page. Alternatively we respond promptly to all enquiries via email. 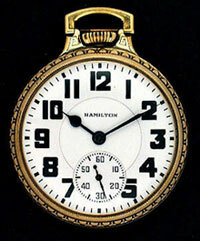 Do you have a watch to sell? Contact us with details. 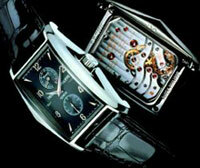 We are always interested in buying quality pre-owned Cartier, Omega, Rolex, etc.